We offer 24 hour service for heavy and light duty towing. We are Licensed, Insured and Bonded. 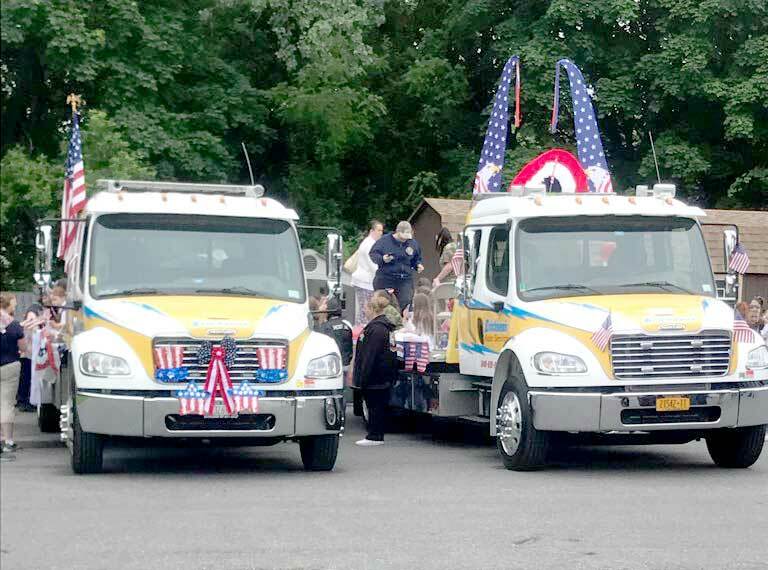 Our fleet of NYS Thruway authorized high tech tow trucks and service vehicles, and our dedicated experienced staff on call 24 hours a day, you can be assured your vehicle is in the right hands. We service Residential, Commercial & Industrial accounts. Our specialities include towing, recovery, equipment handling and transport, exotic and classic towing. We also have emergency services available. We accept the following forms of payment: American Express, MasterCard, Discover Card and VISA. 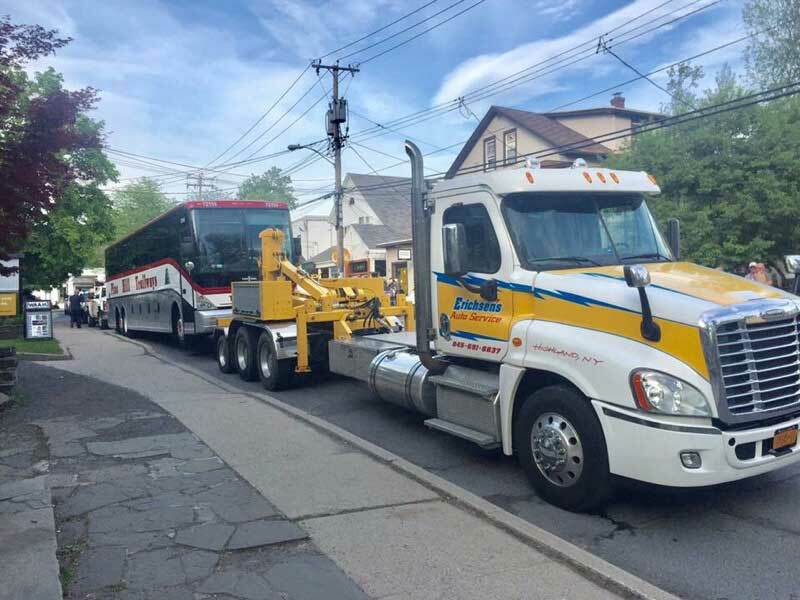 Our fleet of NYS Thruway authorized high tech tow trucks and service vehicles, and our dedicated experienced staff are on call 24 hours a day, so you can be assured your vehicle is in the right hands. We are also AAA approved and certified, ASE auto and heavy truck repair certified. 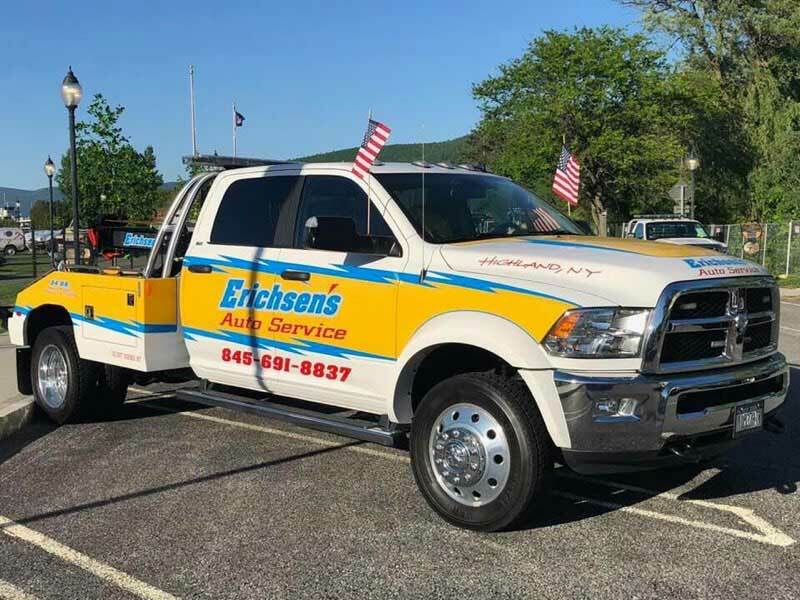 Our repairs range from your basic preventive maintenance, NYS inspection to rebuilding engines in these vehicles, all work is done by experienced ASE certified technicians. Ulster County Sheriff, New York State Police, Town of Lloyd, Marlboro, Plattekill, New Paltz, and Esopus.